April 17, 2016 – Blue Canyon Technologies (BCT) has recently been awarded a contract to build, test, and operate a new 6U-class satellite. BCT will deliver the 6U spacecraft, ready for instrumentation, for the TEMPoral Experiment for Storms and Tropical Systems – Demonstration (TEMPEST-D) project, led by Colorado State University (CSU). BCT will integrate the TEMPEST-D payload with the 6U spacecraft bus and perform environmental testing of the complete spacecraft. The spacecraft will be operated from BCT’s Mission Operations Center in Boulder, Colorado. BCT’s 6U spacecraft is a high-performance CubeSat that includes an ultra-precise attitude control system that allows for accurate knowledge and fine-pointing of the satellite payload. “We are thrilled to be working with CSU and JPL on the TEMPEST-D mission. This new 6U spacecraft furthers BCT’s ongoing mission to provide the highest performance small satellites in the market”, said George Stafford, BCT president. TEMPEST-D will demonstrate the ability to monitor the atmosphere with small satellites. The team will demonstrate a radiometer aboard a 6U CubeSat (30 cm by 20 cm by 10 cm, or about 12 inches by 8 inches by 4 inches) to study cloud processes. The long-term plan is to deploy a constellation of five CubeSats that can perform rapid overpasses of developing storms, taking thousands of images inside clouds. The data will help scientists better understand the processes in storms leading to rain, snow and other precipitation and ultimately to the processes that are vital to climate change prediction. This understanding will also have significant impact on agricultural forecasting, forest management and disaster preparedness. TEMPEST-D is supported by NASA’s Science Mission Directorate, Earth Science Division and is managed by NASA’s Earth Science Technology Office. A team led by Steven Reising, CSU professor of electrical and computer engineering, has spent over a decade working to miniaturize a microwave radiometer to fit inside a CubeSat. 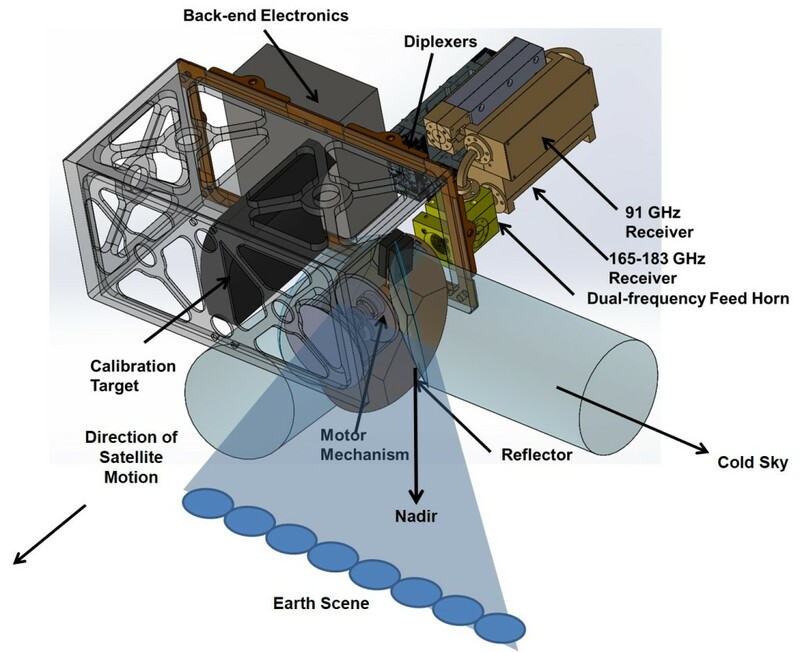 The Jet Propulsion Laboratory (JPL) will provide the five-channel millimeter-wave radiometer instrument. The TEMPEST-D mission is expected to launch in March 2018. It was selected in the sixth round of NASA’s CubeSat Launch Initiative, which enables small satellites to launch as auxiliary payloads.